Ah, sleep. Everyone’s favorite pastime. You know what else everyone loves? Analyzing their life choices based on their Myers-Briggs personality type. 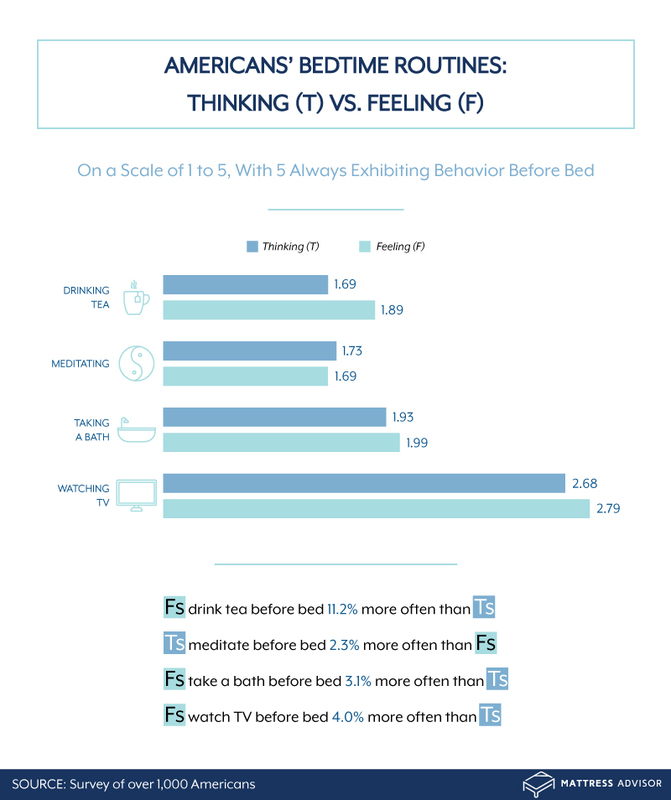 So naturally, when we heard of a study that analyzes our bedtime habits based on our personality type, we dove right in. For example, I’m an INFJ, which this study specifically defines as “The Advocate.” According to this experiment, my favorite thing to do before bed is read, and to be quite honest, when I’m not catching up on an episode of “This Is Us” or “Vanderpump Rules” before bed, I do love to wind down and slip into slumber with a good read. 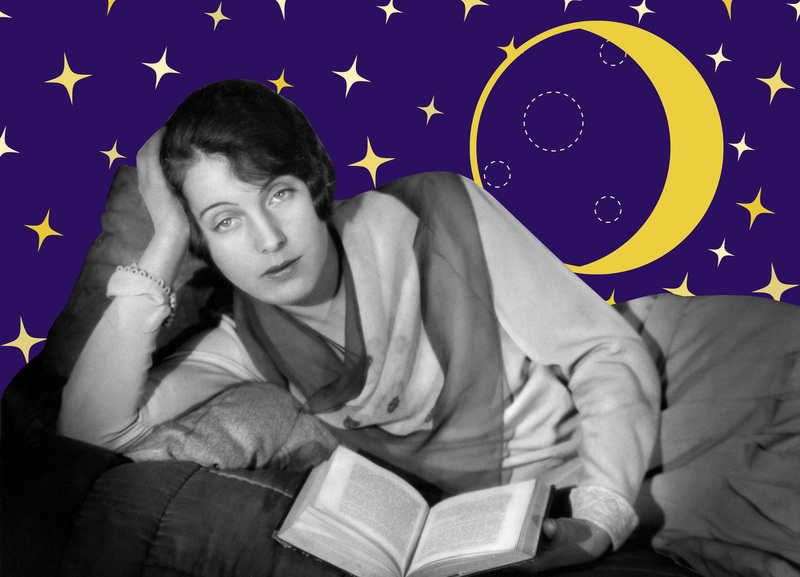 Does your personality type line up with these bedtime habits? Are you an S (sensing) or an N (intuition)? 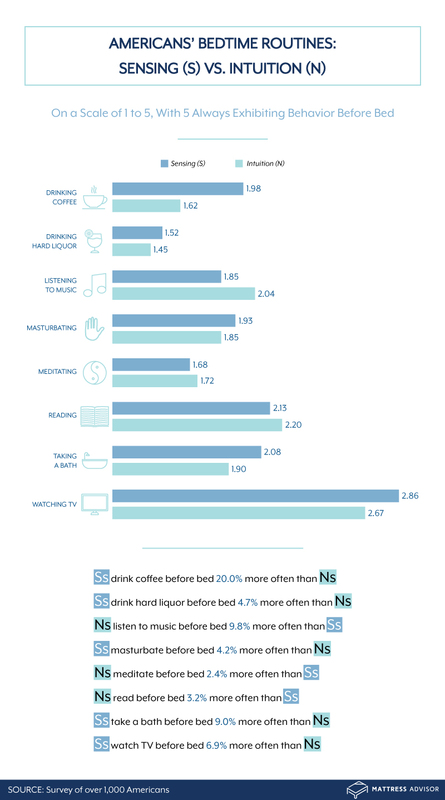 Depending on your trait, you might be more naturally disposed to drink, meditate, or bathe before bed, when compared to other personality types. For example, according to this study, if you’re an Intuition type, you’re 9.8%more likely to listen to music as a bedtime habit when compared to Sensing types. Are you a T (thinking) or an F (feeling) type? These two traits just might explain your love (or lack thereof) for a pre-bed cuppa. For example, if you’re a Feeling type, you are a whopping 11.2 percent more likely to desire a cup of warm camomile tea before bed than a Thinking type. 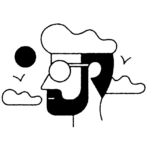 Pick your next poison: J (judging) or P (perceiving)? 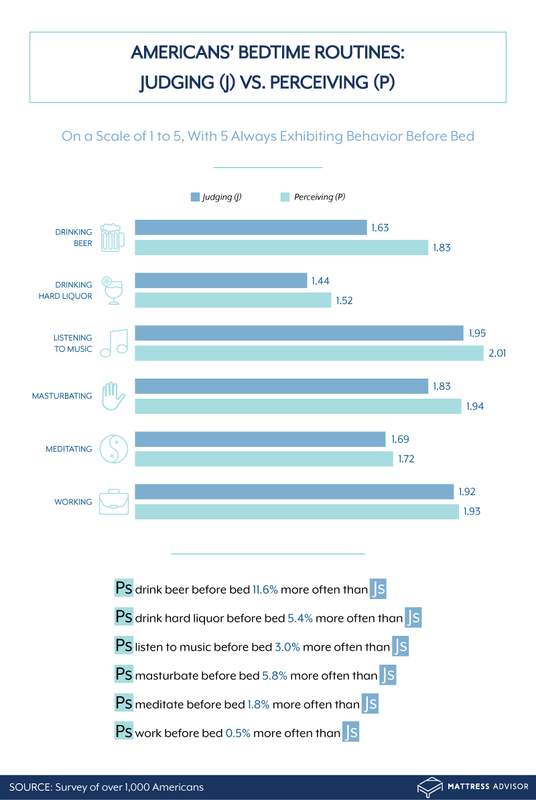 According to the study, if you’re a perceiving type rather than a judging type, you are 11.6% more likely to drink a classy PBR before hitting the hay. Also, both signs apparently tend to work before bed. Come on folks, more PBR, less stress! Sound like you? 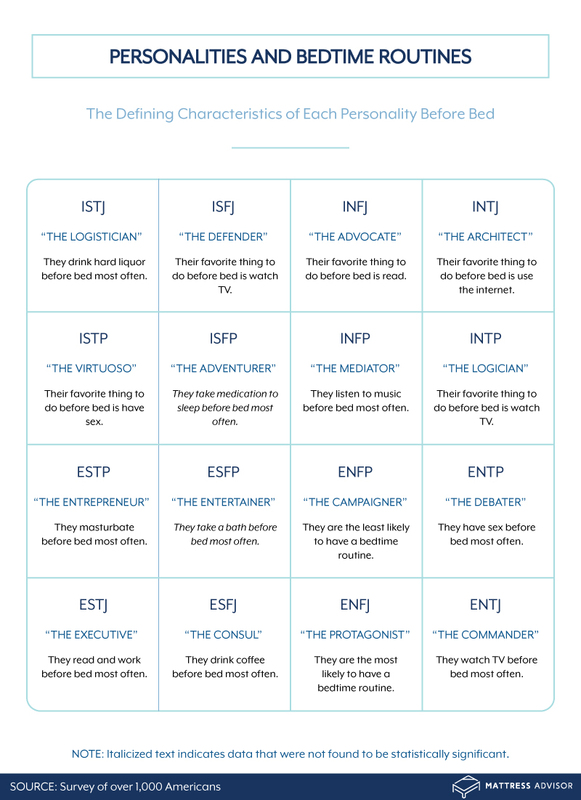 All hail the power of the Myers-Briggs.